ZANZIBAR NI KWETU: Saudi crown prince's carefully managed rise hides dark side! Saudi crown prince's carefully managed rise hides dark side! DUBAI, United Arab Emirates (AP) -- In a kingdom once ruled by an ever-aging rotation of elderly monarchs, Saudi Crown Prince Mohammed bin Salman stands out as the youthful face of a youthful nation. But behind the carefully calibrated public-relations campaign pushing images of the smiling prince meeting with the world's top leaders and business executives lurks a darker side. Last year, at age 31, Mohammed became the kingdom's crown prince, next in line to the throne now held by his octogenarian father, King Salman. While pushing for women to drive, he has overseen the arrest of women's rights activists. While calling for foreign investment, he has imprisoned businessmen, royals and others in a crackdown on corruption that soon resembled a shakedown of the kingdom's most powerful people. As Saudi defense minister from the age of 29, he pursued a war in Yemen against Shiite rebels that began a month after he took the helm and wears on today. What the crown prince chooses next likely will affect the world's largest oil producer for decades to come. And as the disappearance and feared death of Saudi journalist Jamal Khashoggi in Istanbul may show, the young prince will brook no dissent in reshaping the kingdom in his image. "I don't want to waste my time," he told Time Magazine in a cover story this year. "I am young." Khashoggi, a U.S. resident who wrote several columns for The Washington Post critical of Prince Mohammed, disappeared Oct. 2 on a visit to the Saudi consulate in Istanbul. Turkish officials have offered no evidence, but say they fear the writer was killed and dismembered by a Saudi team of 15 men — an operation that, if carried out, would have to have been authorized by the top of the Al Saud monarchy. The kingdom describes the allegation as "baseless," but has provided no proof that Khashoggi ever left the consulate. 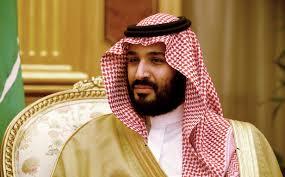 For decades in Saudi Arabia, succession passed down among the dozens of sons of the kingdom's founder, King Abdul-Aziz. And, over time, the sons have grown older and older upon reaching the throne. When King Salman took power in January of 2015 and quickly appointed Prince Mohammed as defense minister, it took the kingdom by surprise, especially given the importance of the position and the prince's age. He was little-known among the many grandchildren of Saudi Arabia's patriarch, a young man educated only in the kingdom who stuck close to his father, who previously served as the governor of Riyadh, the Saudi capital. As defense minister, he entered office facing a crisis in Yemen, the Arab world's poorest country, which lies south of the kingdom. Shiite rebels known as Houthis had overrun the country's capital, Sanaa, unseating the deeply unpopular government of Abed Rabbo Mansour Hadi. When Hadi fled and it appeared the country's port city of Aden would fall to the rebels, Saudi Arabia launched a coalition war against the Houthis — a conflict that soon became a stalemate. The United Nations estimates 10,000 people have been killed in Yemen's conflict, and activists say that number is likely far higher. It has exacerbated what the U.N. calls the world's worst humanitarian crisis, with hunger and cholera stalking civilians, worsened by the kingdom's blockade of ports. Meanwhile, the Saudi-led coalition has faced widespread criticism for its airstrikes hitting clinics and marketplaces, which have killed civilians. The Houthis, as well, have indiscriminately used landmines and arrested political opponents. The coalition says Iran has funneled weapons to the Houthis ranging from small arms to the ballistic missiles now regularly fired into the kingdom, which Iran denies. For Prince Mohammed, the conflict remains part of what he sees as an existential struggle between Saudi Arabia and Iran for the future of the Middle East. Asked about Western concerns over civilian casualties, he offers this: "Mistakes happen in all wars." "We don't need to have a new Hezbollah in the Arabian Peninsula. This is a red line not only for Saudi Arabia but for the whole world," the prince recently told Bloomberg, referring to the Iran-allied Shiite militant group and political party dominant in Lebanon. The prince also found himself involved in the bizarre resignation-by-television address of Lebanese Prime Minister Saad Hariri, who announced he would step down during a visit to the kingdom in November 2017, fueling suspicion he was coerced into doing so. Prince Mohammed's harsh rhetoric extends to likening Iran's Supreme Leader Ayatollah Ali Khamenei to Nazi Germany's Adolf Hitler. He's also hinted Saudi Arabia would be willing to fight Iran in other ways, leading Tehran to link the kingdom to an attack on a military parade in Ahvaz last month that killed at least 24 people and wounded more than 60. Both Arab separatists and the Islamic State group claimed responsibility for the assault. "We won't wait for the battle to be in Saudi Arabia," the prince told the Saudi-owned broadcasting company MBC last year. "Instead, we will work so that the battle is for them in Iran, not in Saudi Arabia." His aggressive posture against Iran has won the support of U.S. President Donald Trump and his administration, which pulled out of the Iran nuclear deal struck by President Barack Obama, whom the kingdom deeply distrusted. Before becoming crown prince, Prince Mohammed visited the White House and forged a close relationship with Trump son-in-law Jared Kushner. The two are believed to be working on the administration's peace plans for Israel and the Palestinians. Trump made Riyadh his first stop overseas as president, a visit complete with Arab pageantry and opulence. Behind the scenes, many analysts believe Saudi Arabia, Bahrain, Egypt and the United Arab Emirates saw a greenlight to move ahead with the ongoing boycott of Qatar, a small Arabian Peninsula nation, over a political dispute. Trump initially seemed to favor the boycott of Qatar, which is home to al-Udeid Air Base, the forward headquarters of the U.S. military's Central Command. Trump's first Secretary of State, Rex Tillerson, sought in vain to pressure the Saudis into resolving the spat and complained privately that the ties between the White House and Prince Mohammed were hurting the effort, officials said at the time. Tillerson's dismissal in March and the arrival of Mike Pompeo as Trump's top diplomat markedly reduced the State Department's heat on Saudi Arabia about the detentions of human rights activists, including women, and the conflict in Yemen. Despite the mounting civilian casualties in Yemen, Pompeo certified to Congress in September that Saudi Arabia was taking steps to reduce and limit them, drawing severe condemnations from lawmakers and human rights groups. Saudi Arabia soon embarked on the prince's ambitious proposal to allow women in the ultraconservative Wahhabi nation to drive. The resulting pictures of women in long black abayas behind the wheel represented a public-relations coup for the image-shaping firms employed by the kingdom, as did footage of women attending soccer matches and movie theaters for the first time in decades. But before women started their engines, a new crackdown emerged: The kingdom rounded up and imprisoned women's rights activists, including reportedly grabbing one woman who was in the neighboring United Arab Emirates. Prince Mohammed has wowed the business world with promises of an initial public offering for the state oil behemoth Saudi Arabian Oil Co., known as Saudi Aramco, suggesting it would have a $2 trillion valuation. Stocks markets around the world have pitched having the IPO on their exchanges, but it has been repeatedly delayed. The young prince has traveled across the U.S. as part of his business pitch, meeting leaders like former New York Mayor Michael Bloomberg and Amazon billionaire Jeff Bezos, who owns The Washington Post. Prince Mohammed also hosted a major business summit at Riyadh's Ritz Carlton, complete with a humanoid robot named Sophia being awarded Saudi citizenship. Only weeks later, the hotel turned into a luxury prison as part of a mass arrest of businessmen, royals and others orchestrated by Prince Mohammed in a move described as targeting corruption. Those released agreed to sign over some of their assets, however, giving it the feel of a shakedown. "If I have the power and the king has the power to take action against influential people, then you are already fundamentally strong," Prince Mohammed told CBS earlier this year. For now, the anger over Khashoggi's disappearance appears to have galvanized international criticism of the young prince, about whom the columnist wrote critically for the Post. Trump, already angry over rising global oil prices, has said he wants answers from Saudi Arabia and suggested Khashoggi's fiancee could visit the White House. Prominent American lawmakers also are indignant — though U.S.-Saudi relations have survived even the 15 of the 19 Sept. 11 hijackers being from the kingdom. The opaqueness of the Al Saud royal family makes it difficult to see what effect the controversy is having on support for Prince Mohammed at home. State television continues to air footage of him attending meetings and greeting officials as if all is normal. And as the son of the king, analysts say he has the full protection of the throne's powers. Once asked if anything could stop him, the prince gave a two-word reply: "Only death."